Steven Spielberg’s ‘The Post’ opens nationwide on Friday. Every American should see it. Many won’t, and for political reasons. Conservatives are bashing the film, even before it opens, as a media-backslapping exercise — a thinly veiled anti-Trump, anti-Republican screed in the guise of a movie about journalism history and triumph. Make no mistake: ‘The Post’ is as much about Donald Trump’s attacks on a free press as it is about Richard Nixon’s. But popular culture can be as effective a teacher of civics as any classroom, and that’s why everyone should see this film. It’s about the principle that no person and no government should be able to tell anyone — not a newspaper, not a blogger, not a street-corner speaker — what he or she can’t print or say. Every journalism student learns the story of the Pentagon Papers, which is the centerpiece of ‘The Post’. Not quite 12 years old when the case erupted in the frenetic month of June 1971, I was at best vaguely aware of it at the time. When journalism found me a few years later, late in high school and early in college, it was the Pentagon Papers story that told me this is what I wanted to do. It’s one of the stories that made me want to teach about the First Amendment, which I’ve done for the past 28 years. For me, the Pentagon Papers story is less about Daniel Ellsberg, Neil Sheehan, Katherine Graham or Ben Bradlee than it is about Hugo Black. He was the Supreme Court justice whose concurring opinion to permit continued publication of the Papers is one of the most stirring essays ever written about a free press. 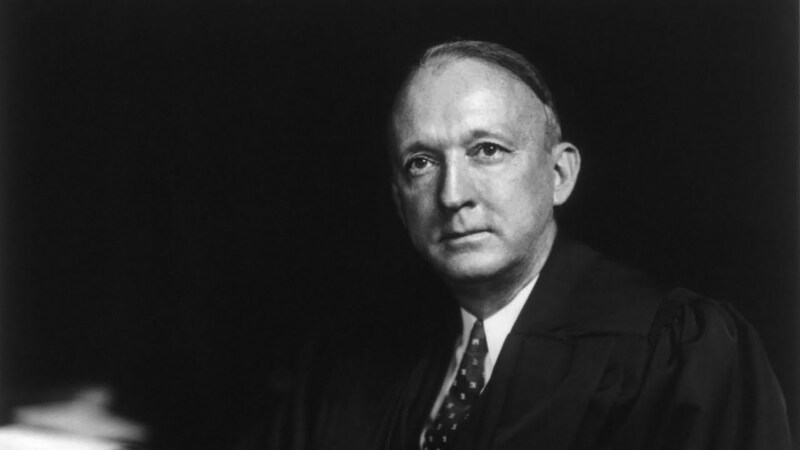 Hugo Black was a Southerner of early 20th Century. Formerly a Klansman, which he said he joined because it was necessary for Alabamians who aspired to careers in politics, he was a U.S. senator when Franklin Roosevelt named him to the Supreme Court in 1937. He became the greatest exponent of the ‘absolutist’ interpretation of the First Amendment — that the words ‘Congress shall make no law’ abridging freedom of speech and press meant exactly what they said. Black believed that virtually any government restriction of speech and press was unconstitutional. He would have eliminated libel suits by government officials against the press. He refused to attend screenings of pornographic films in the Court’s chambers during the 1960s and 1970s cases that greatly restricted federal and state governments’ authority to control sexually explicit speech and media. He didn’t object to the showing of skin flicks in the Supreme Court building; he simply thought watching them was a waste of time because any government regulation of such speech was unconstitutional. When the Pentagon Papers ruling came down near the end of the Court’s term in 1971, Black was ailing and nearly blind. In fact, his opinion in the case would be the last of his 34-year career. He died just three months later. I have no idea whether ‘The Post’ will give Hugo Black the credit he’s due. That’s why it’s worth republishing Black’s opinion here. It’s realtively short, as far as Supreme Court opinions go, and it’s required reading for anyone who cares about a free press at a time when the current president of the United States would have us believe that we no longer need one. The Government’s case against the Washington Post should have been dismissed, and the injunction against the New York Times should have been vacated without oral argument when the cases were first presented to this Court. I believe that every moment’s continuance of the injunctions against these newspapers amounts to a flagrant, indefensible, and continuing violation of the First Amendment. … In my view, it is unfortunate that some of my Brethren are apparently willing to hold that the publication of news may sometimes be enjoined. Such a holding would make a shambles of the First Amendment. “The people shall not be deprived or abridged of their right to speak, to write, or to publish their sentiments, and the freedom of the press, as one of the great bulwarks of liberty, shall be inviolable.” … The amendments were offered to curtail and restrict the general powers granted to the Executive, Legislative, and Judicial Branches two years before in the original Constitution. The Bill of Rights changed the original Constitution into a new charter under which no branch of government could abridge the people’s freedoms of press, speech, religion, and assembly. Yet the Solicitor General argues and some members of the Court appear to agree that the general powers of the Government adopted in the original Constitution should be interpreted to limit and restrict the specific and emphatic guarantees of the Bill of Rights adopted later. I can imagine no greater perversion of history. Madison and the other Framers of the First Amendment, able men that they were, wrote in language they earnestly believed could never be misunderstood: “Congress shall make no law . . . abridging the freedom . . . of the press…” Both the history and language of the First Amendment support the view that the press must be left free to publish news, whatever the source, without censorship, injunctions, or prior restraints. In other words, we are asked to hold that, despite the First Amendment’s emphatic command, the Executive Branch, the Congress, and the Judiciary can make laws enjoining publication of current news and abridging freedom of the press in the name of “national security.” The Government does not even attempt to rely on any act of Congress. Instead, it makes the bold and dangerously far-reaching contention that the courts should take it upon themselves to “make” a law abridging freedom of the press in the name of equity, presidential power and national security, even when the representatives of the people in Congress have adhered to the command of the First Amendment and refused to make such a law. To find that the President has “inherent power” to halt the publication of news by resort to the courts would wipe out the First Amendment and destroy the fundamental liberty and security of the very people the Government hopes to make “secure.” No one can read the history of the adoption of the First Amendment without being convinced beyond any doubt that it was injunctions like those sought here that Madison and his collaborators intended to outlaw in this Nation for all time. The word “security” is a broad, vague generality whose contours should not be invoked to abrogate the fundamental law embodied in the First Amendment. The guarding of military and diplomatic secrets at the expense of informed representative government provides no real security for our Republic. The Framers of the First Amendment, fully aware of both the need to defend a new nation and the abuses of the English and Colonial governments, sought to give this new society strength and security by providing that freedom of speech, press, religion, and assembly should not be abridged. This thought was eloquently expressed in 1937 by Mr. Chief Justice Charles Evan Hughes — great man and great Chief Justice that he was — when the Court held a man could not be punished for attending a meeting run by Communists. Previous The Right Says It’s Fighting For Campus Free Speech. It Wants No Such Thing.